Hi there! Today’s post is about this Alberto Balsam Blends Colour Bright Detangler + UV Filter. Since Alberto Balsam’s Colour Bright products are online exclusives, I was happy to pick up this detangler for £1 at Poundworld. This product promises to provide UV-protection for coloured hair. It also claims to detangle hair with ease and to refresh hair between washes. The description further states that this product nourishes hair to make it feel soft and to make it look shiny. This detangler is easy to use. Just give it a good shake (to blend the 2 phases) and spray away. Then detangle your hair with your hands or simply brush your hair. Since this product works on wet and dry hair, you can use it anytime you want. Alright, how’s the product? Sadly, it’s not for me. The Jericho Rose & Orange scent is way too strong for my liking. Since I wear my hair down, I can smell it all day. This isn’t what I want! However, if you don’t wash your hair very frequently, and you’re worried that your hair might smell funky, you should give this product a try! What else? This product detangles my hair well and it makes my hair feel super soft (pretty much like baby hair). Whilst I don’t like overly soft hair, I would recommend this product to anyone who’s looking for a leave-in detangling or conditioning spray that helps tame dry or unruly hair. Hi there! 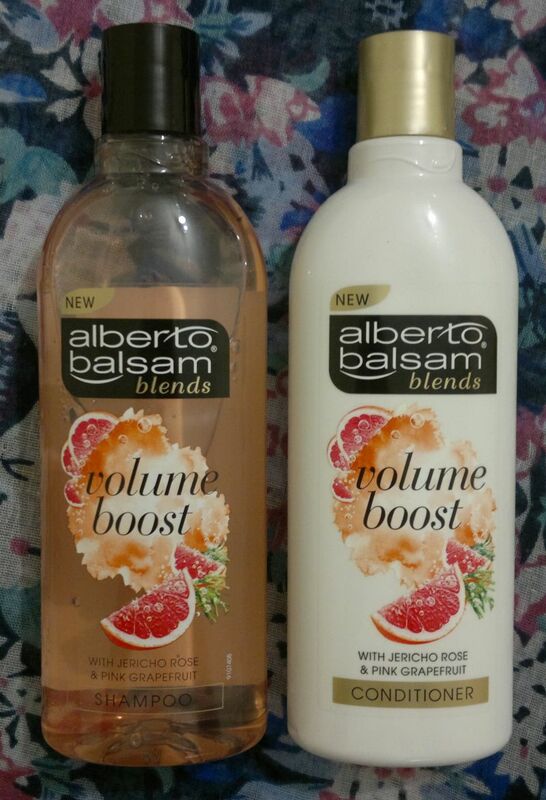 Today’s post is about Alberto Balsam’s Volume Boost Shampoo & Conditioner with Jericho Rose & Pink Grapefruit. I bought these 2 products quite some time ago when they were on special (£1 each), and I’ve finally managed to try them. The shampoo feels amazing on my head. It feels clarifying, but it’s also sensationally soft! The formula is pretty much perfect! The conditioner is fantastic too. It feels very conditioning, and it detangles my hair with ease. It actually feels like a “soft & smooth” conditioner. Brilliant! I’m also happy that these 2 products make my hair appear fuller. And yes, at the same time my hair feels soft and smooth. Alberto Balsam delivers on its promise again! Oh, one more thing – these two products smell divine. The fragrance is perfectly natural, and it’s the perfect mix of rose and grapefruit. Gorgeous! Poundland Clearance Haul – New Stuff & 50% Off Everything! Whilst almost all the shampoos were gone, the store had lots of conditioners left. 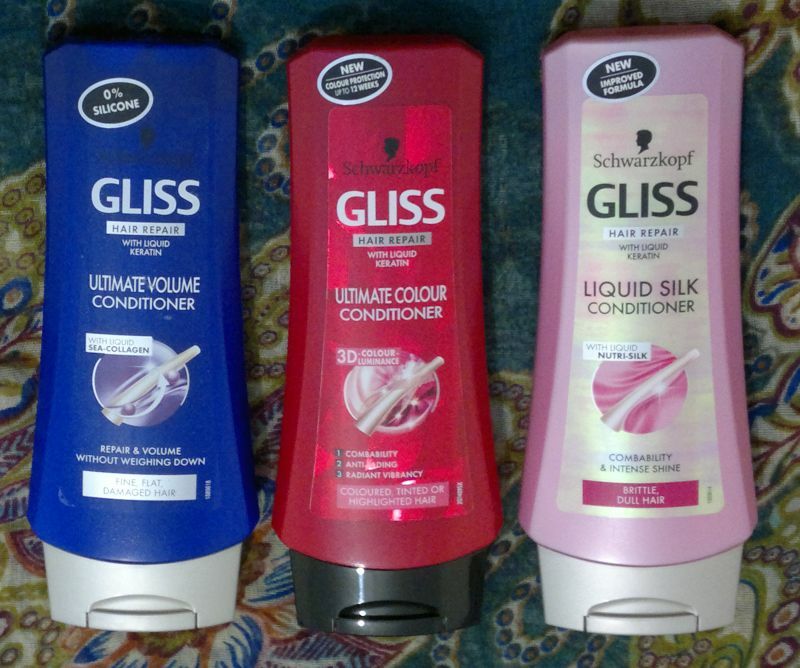 I picked up 3 Gliss conditioners (I can pick up the matching shampoos elsewhere). 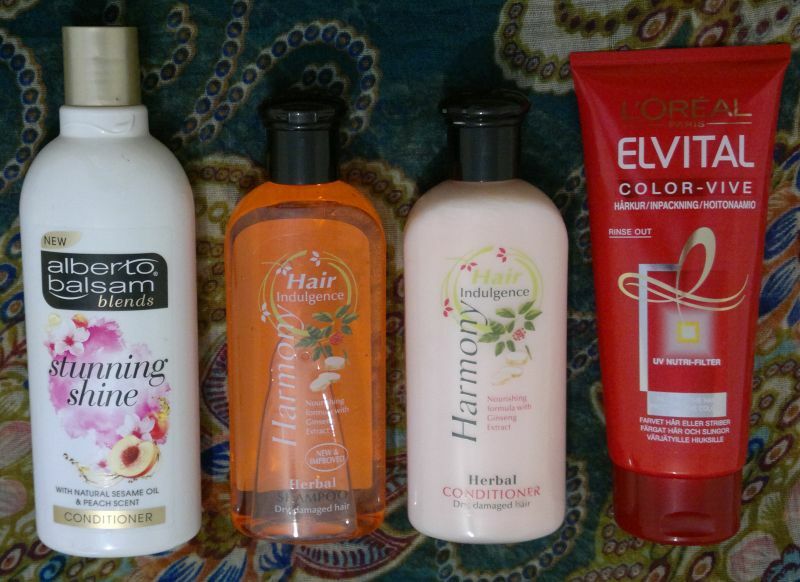 They had all sorts of different conditioners, but I only bought conditioners that I actually like and use. The ones I got for myself are Ultimate Volume, Ultimate Colour and Liquid Silk. 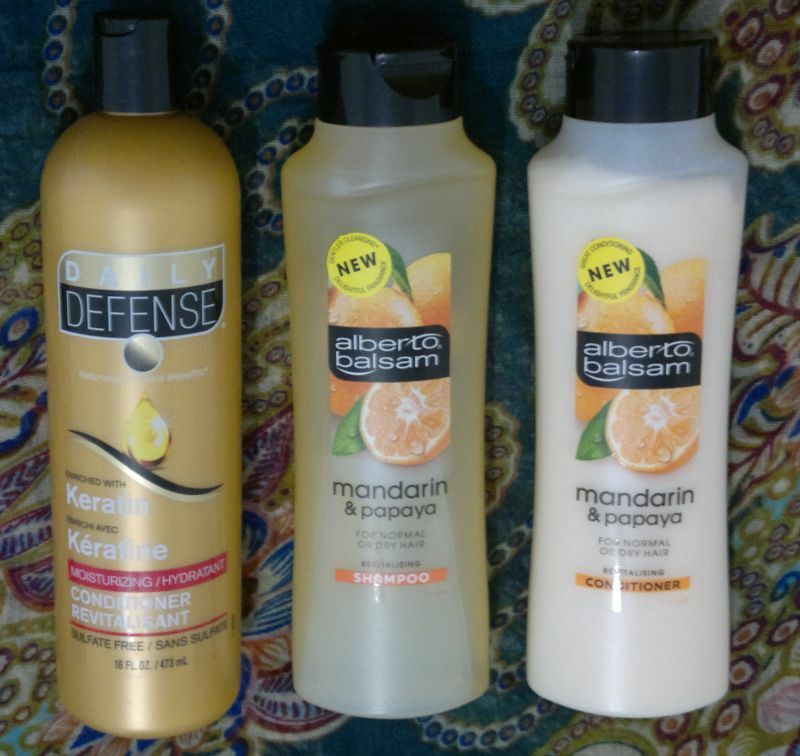 I got myself another Daily Defense Keratin conditioner (bought at Poundstretcher) and Alberto Balsam’s Mandarin & Papaya shampoo and conditioner. And there’s more hair stuff! I bought another Alberto Balsam conditioner – this one’s Stunning Shine. And I picked up another Harmony Hair Indulgence shampoo and conditioner combo. And I found one more L’Oréal Deep Conditioner. 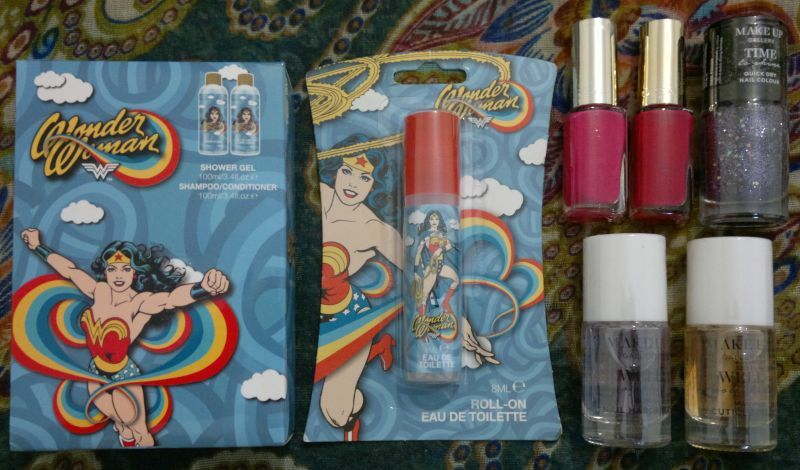 I found a Wonder Woman shower gel and shampoo set – and the matching fragrance as a roll-on! And I bought 5 nail products – 2 L’Oréal polishes, 1 Poundland glitter topper, 1 Poundland cuticle oil and 1 Poundland nail hardener. This is what I bought. 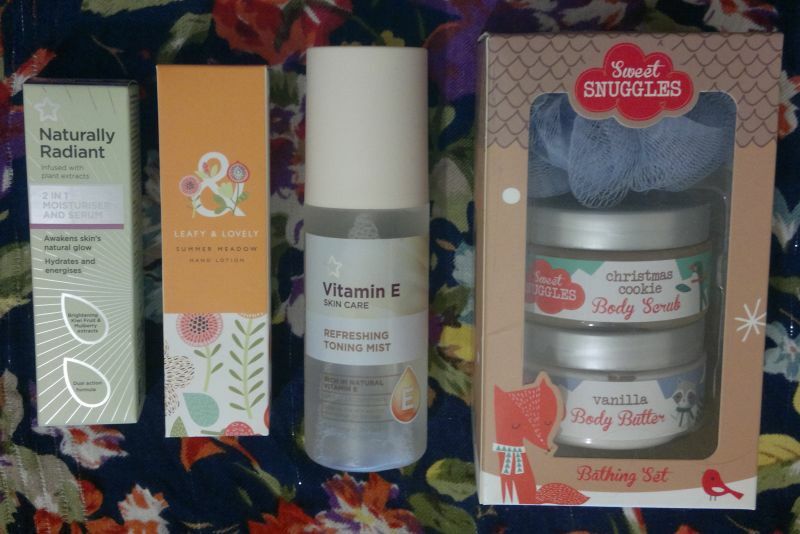 I paid £14 in total for all these goodies! Hi there! It’s been a while since I used L’Oréal’s Fibrology hair products. Back then I had to say that these products weren’t right for my hair type. In summary, the Fibrology shampoo turned my hair into a tangled mess. And the Fibrology conditioner (I think it’s too thick) wasn’t good enough to detangle my hair – and it took a lot of time, effort and product to tame my mane. Because of this I thought it was unlikely that I’d buy the Fibrology hair products again. However, not too long ago I went through my stash and I found another set of Fibrology products. Ah, the joys of beauty & toiletries hoarding! 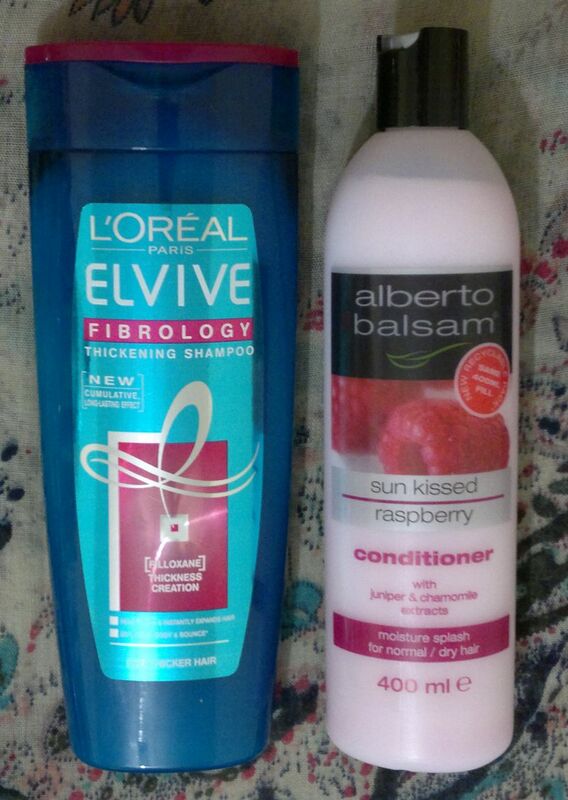 But since I had a spare Alberto Balsam Mandarin & Papaya shampoo and a spare Sunkissed Raspberry conditioner (they were 50p each at Sainsbury’s, and these two were the only ones left – so I just bought them), I thought I’d see whether they’d work with the Fibrology products. I’ve been using the two L’Oréal and Alberto Balsam combos in a rota for a few weeks now. Read on if you’d like to know how it’s going! L’Oréal’s Fibrology Shampoo is definitely unique. It expands – almost like builder’s foam! Whilst I love this effect, this is the reason why my hair gets tangled up. And, as I said before, the Fibrology conditioner isn’t good enough to undo the damage. Even though L’Oréal’s Fibrology Conditioner didn’t really play well with the Fibrology shampoo, I didn’t think it was lost cause. 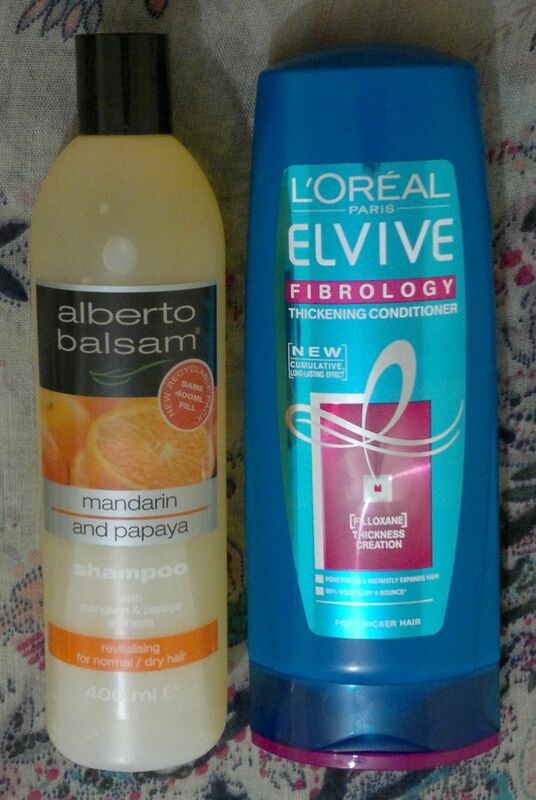 So I’ve now teamed up the Fibrology conditioner with Alberto Balsam’s Mandarin & Papaya Shampoo. This shampoo is wonderful. It’s clarifying, but it’s not harsh at all, and it smells lovely! In addition, it doesn’t turn my hair into a rat’s nest! This in turn also means that it’s much easier to detangle my hair with conditioner – and the Fibrology conditioner does a great job! So yes, these products are great together! 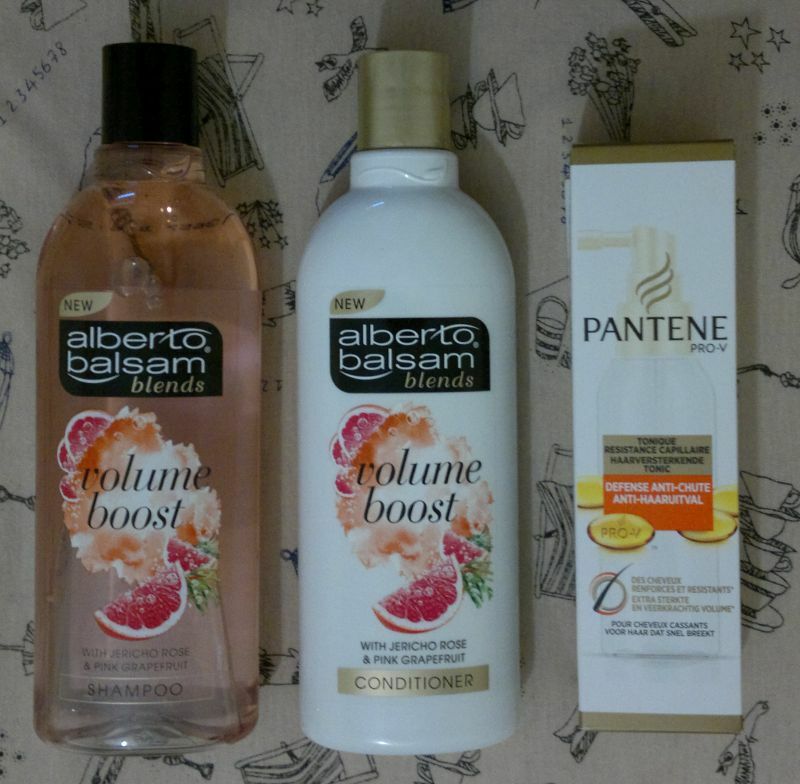 Whilst I usually don’t like to ‘mix’ shampoos and conditioners from different collections, let alone different brands, I must say that I’m very happy with these two L’Oréal + Alberto Balsam combos. I went from “Oh dear, I gotta use this stuff!” to “Yay, this is fantastic!” in a matter of days. Hi there! 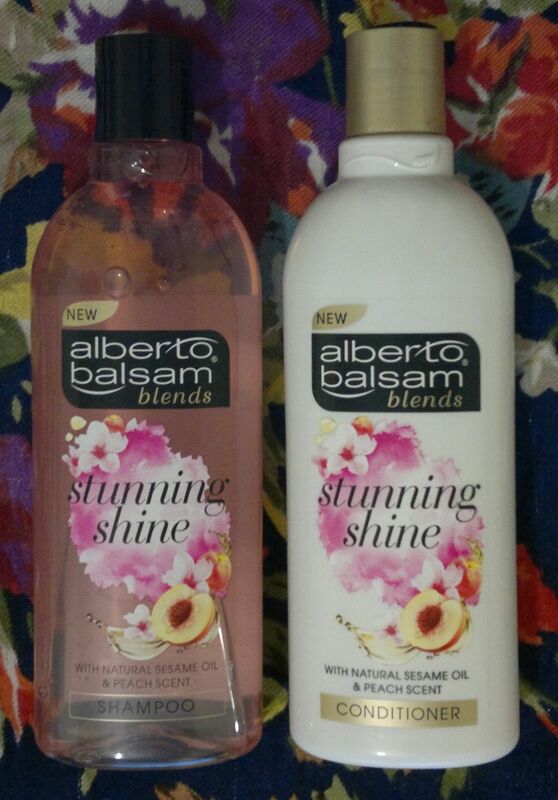 Today’s post is about Alberto Balsam’s Stunning Shine Shampoo and Conditioner. 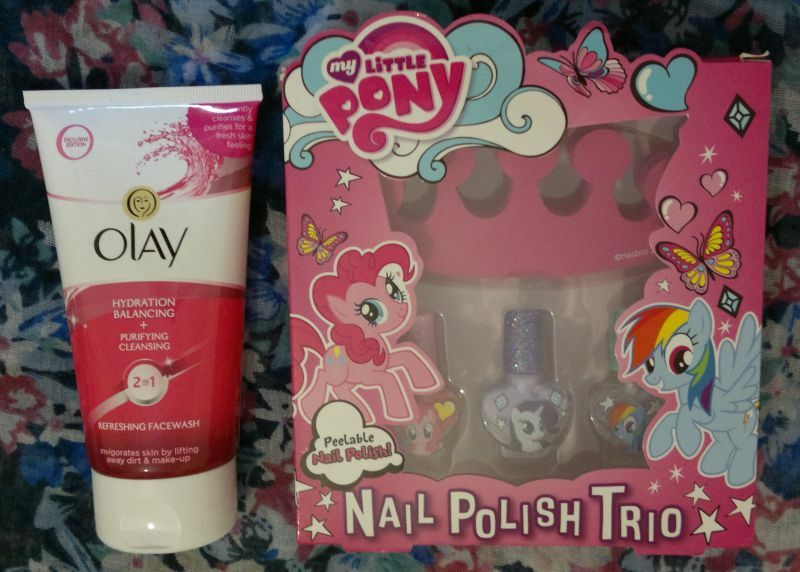 I picked up these two items when they were on special for £1 each at my local Asda. It’s a great deal, I know! 🙂 But let’s not discuss my bargain hunting. Let’s get to the review! The shampoo smells lovely. Many peach-scented products smell of peach skin, but this shampoo smells like the actual fruit. It’s fruity, but it’s not artificially sweet. I like it! I also think this shampoo cleanses my hair well. And at the same time it’s not harsh. Very nice! The conditioner is good too. It’s quite thin, but it conditions and detangles my hair surprisingly well. And the pleasant peach fragrance really lingers. Awesome stuff! I don’t think these two products make my hair particularly shiny. But I would say they help maintain my hair’s natural shine. 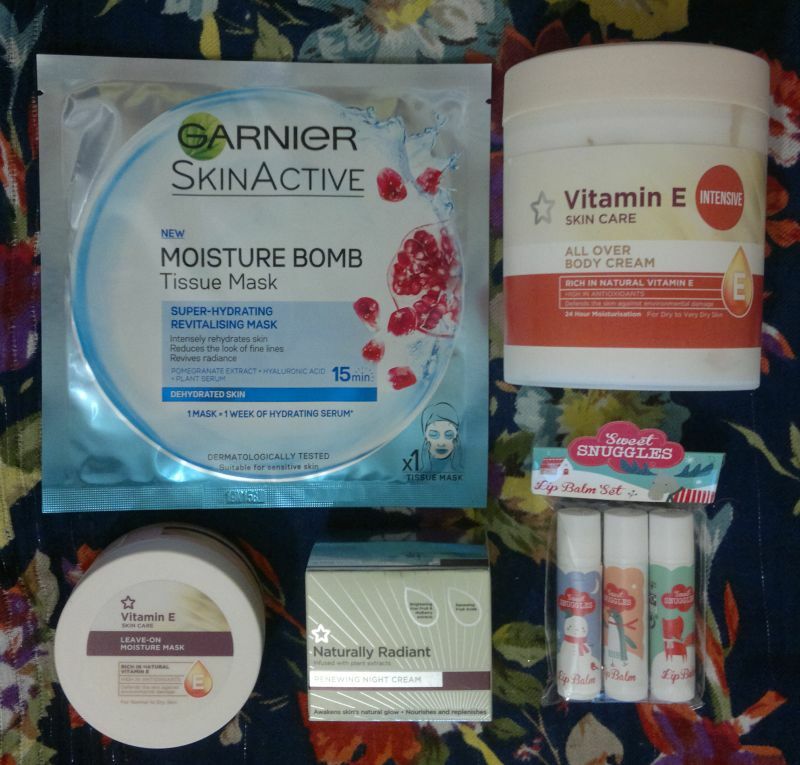 I’m enjoying these products very much and I will buy them again, no doubt! Alberto Balsam’s Stunning Shine Shampoo and Conditioner are available as 300ml for £1.50 each. 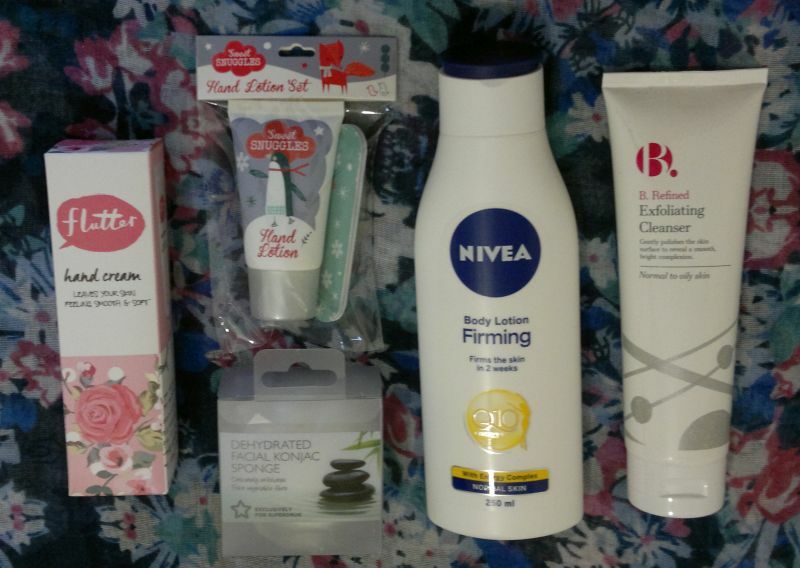 30+ New Products – Superdrug, Asda & Bargain Store Haul! Hi there! I tried my best not to buy more stuff, but I caved. And then I caved again. I bought a lot of stuff in the past three or four weeks… So let’s take a look at the new products that moved in with me. Item number 1 is this Flutter Hand Cream – Flutter is a Superdrug brand that always makes an appearance around Christmas. This hand cream was £1. Then there’s this Sweet Snuggles Hand Lotion Set – this set consists of a small hand cream and a nail file. I think it’s cute. And it was £1 only. I also bought 3 Superdrug Facial Konjac Sponges. There was a 3 for 2 offer, each sponge was £1.99, and thanks to the offer I paid £3.98 in total. Nivea’s Firming Body Lotion was on a better than half price promotion so I paid £2.55 instead of £5.25. And I’m looking forward to trying my new B. Refine Exfoliating Cleanser which was half price as well – it was £2.69 instead of £5.49. 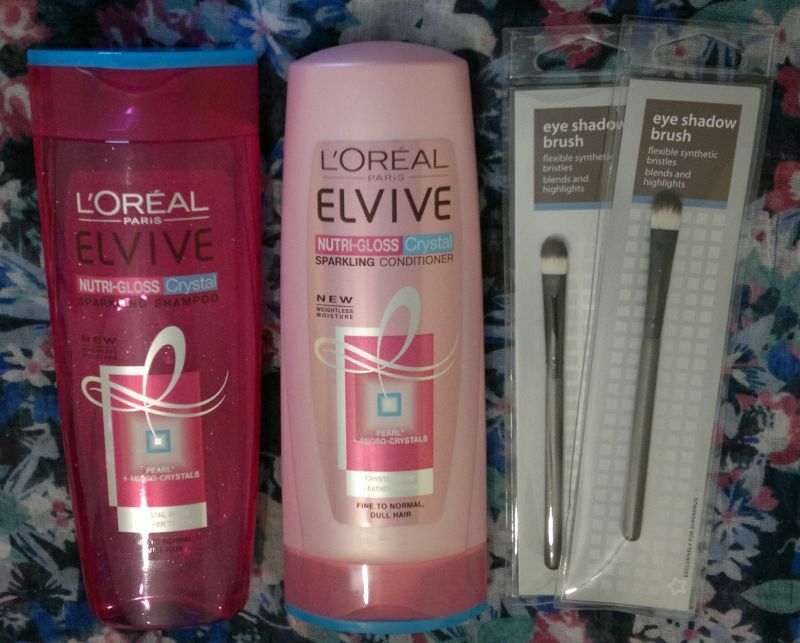 I also bought new hair care – L’Oréal Nutri-Gloss Crystal Shampoo & Conditioner. These were on a half price offer – £1.99 each instead of £3.99. 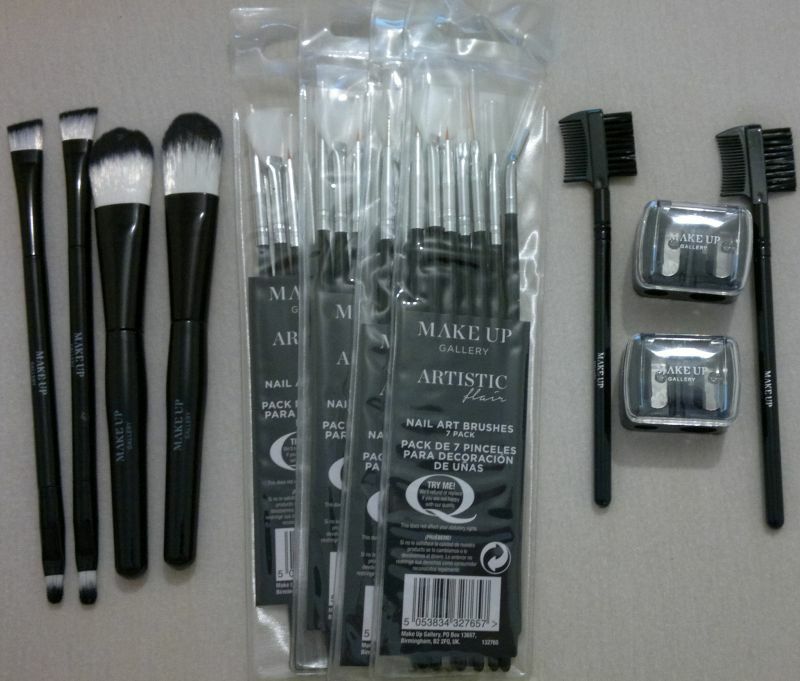 I also bought two more eyeshadow brushes. These are Superdrug own-brand, they were 99p each. I couldn’t resist when I saw this exclusive edition Olay Refreshing Face Wash. It was £1.45 instead of £2.99. And I found this incredibly cute My Little Pony Nail Polish Trio for £2.99 at B&M Bargains. This set contains 2 toe separators and three nail polishes (pink – Pinkie Pie, lilac – Rarity, glitter – Rainbow Dash). Awesome stuff! I liked Superdrug’s cocoa butter & vanilla body butter, so I wanted to give Superdrug’s Cocoa Butter & Vanilla Body Scub a try too. This scrub was £2.45 (half price offer). I also bought two more Superdrug Clearly Youthful Glycolic Peel-Off Mask tubes. They’re £4.89 each, but there was a 2 for £5 offer. By the way, this mask is absolutely brilliant. Please check out my review of it! The Patisserie de Bain set was a freebie. 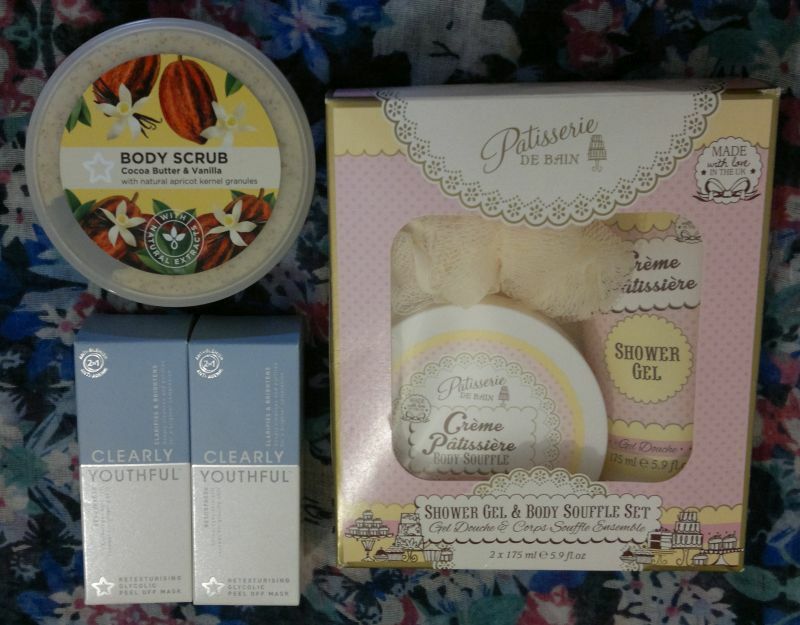 Superdrug gave these sets away as a gift with purchase – all you had to do was buy two skin care products (yes, they included lots of cheap basics – like face wash for £1.50 and the likes – in this offer), and you’d get this Patisserie de Bain set for free. Up next is a lipstick – Models Own Miami Heat – £1.24 (clearance). And I couldn’t resist this cute Flutter Lip Balm. It’s strawberry-flavoured and it was £1. The Models Own Nail Polish was £2.49 (clearance) and the shade is called Eggshell Goose. The Max Factor nail polish is from Poundworld, so it was £1. I had to have it because the colour really pops! I was really happy when my local Asda restocked Alberto Balsam products whilst they were still on a £1 promotion. So I got Alberto Balsam Volume Boost Shampoo & Conditioner for £1 each. The Pantene Breakage Defence Hair Strengthening Tonic was £1 at Poundland. Finally I bought a few face masks again. They’re all Montagne Jeunesse masks. I got two Mud Pac and Amore Rose duos for £1 each at Poundland. 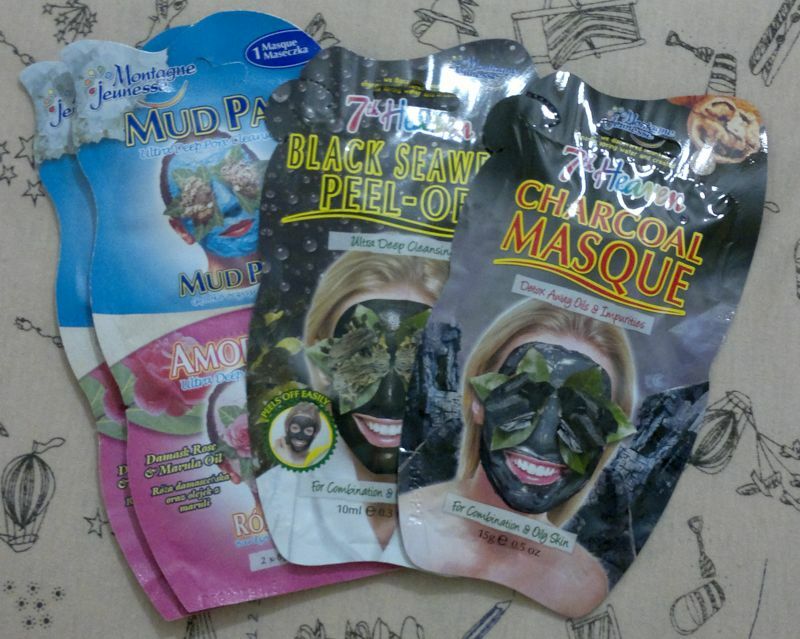 The Black Seaweed Peel-Off Mask and the Charcoal Masque were 85p each at Asda. As I love Superdrug’s Naturally Radiant collection, I bought another product – a serum & moisturiser. This product was on a half price promotion, so I paid £2.94 only. Superdrug also had a new version of the Leafy & Lovely hand cream. It’s probably the same as before – but it was £1 only, so I thought I should have it. Superdrug’s Vitamin E Toning Facial Mist cost me £2.24 only. Superdrug’s Sweet Snuggles gift set was £3.50. I also bought 2 Garnier Moisture Bomb Tissue Masks. They were on special for 99p each. And I got 2 tubs of Superdrug’s Vitamin E Intensive All Over Body Cream for £2.61 each. Superdrug’s Vitamin E Leave-On Moisture Mask was £2.24. And Superdrug’s Naturally Radiant Night Cream was also on special for £2.95. I love this night cream. This one’s a back-up! 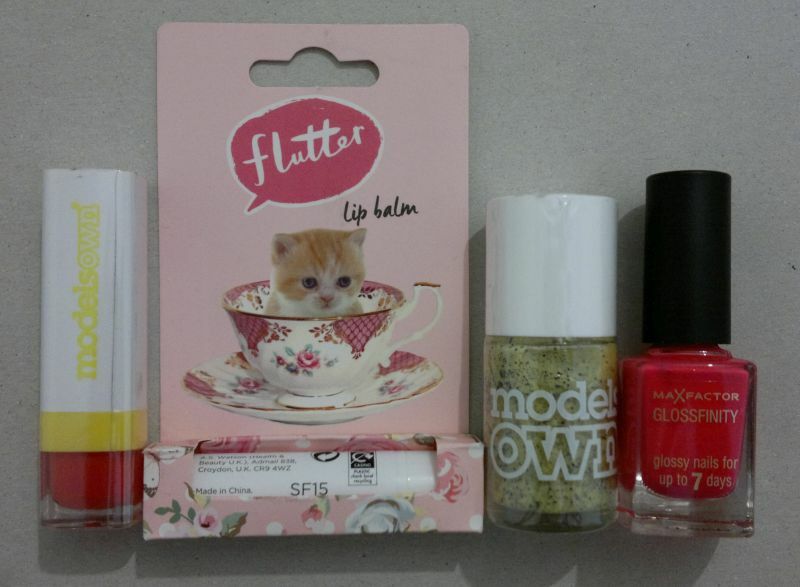 And the last item is a Sweet Snuggles lip balm set which I got for £1. I loved last year’s lip balms, and I’m sure this year’s lip balms are just as excellent.